The launch of the iPhone 7 and iPhone 7 Plus came with the usual set of upgrades. We saw Apple upgrade the pair’s processor, camera, design and build. These changes finally changed the iPhone for the better, even if these changes are slight. One feature that Cupertino was eager to show off was the increased battery life for both the devices. The Apple A10 ‘Fusion’ comes with its own set of upgrades and enhancements on board. Not only is the processor quad core, but it also adds to the battery life of the iPhone 7 and iPhone 7 Plus. The iPhone 7 features two hours of battery life over the iPhone 6s. The iPhone 7 Plus on the other hand comes with an hour of extra battery life. Today, we’ve manged to find some information which claims to show battery capacities for the pair. Take a look below to find out more. As a manufacturer, Apple’s focus towards its smartphones has always been holistic. Cupertino always claims to provide an al round user experience, rather than focus on hardware specifications. This also gives it a nice excuse to eliminate hardware specifications from launches. This year’s iPhone 7 and iPhone 7 Plus are no exceptions to this rule. While we saw a lot of details on their camera, information about battery capacity, RAM and other details was once again absent. However, no matter how hard Apple tries, it’s very hard to keep these details shrouded in secrecy. 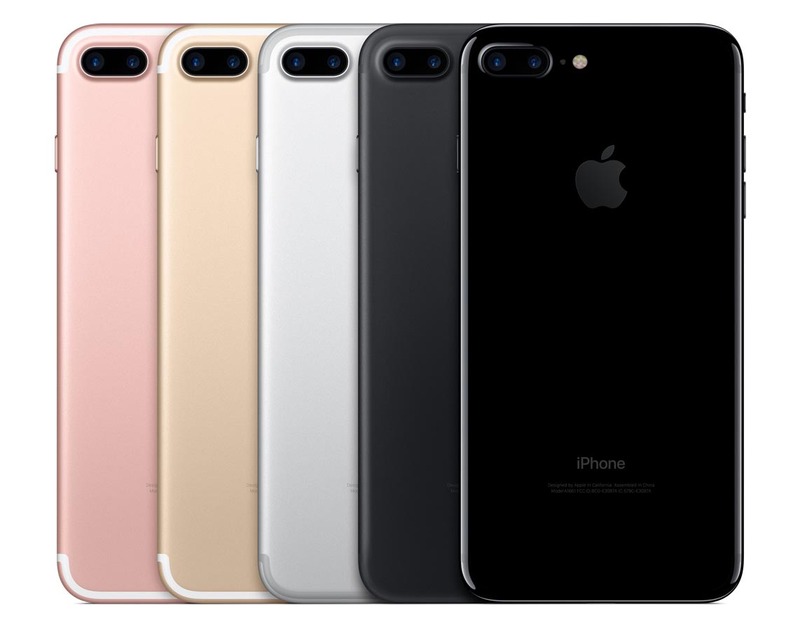 Today, we’ve finally managed to uncover battery and RAM specifications for the iPhone 7 and iPhone 7 Plus. 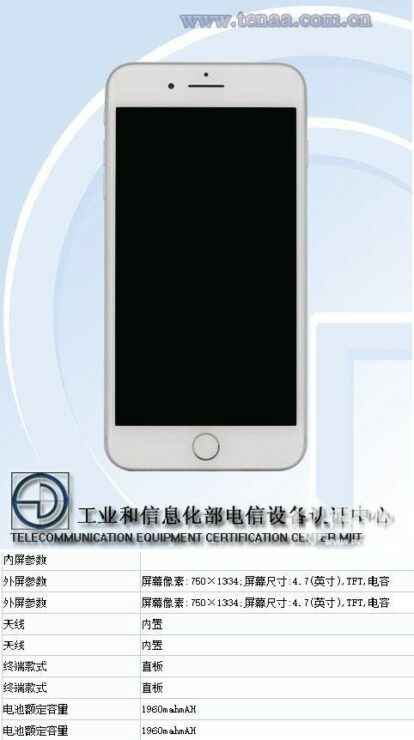 The Chinese TENAA has listed the devices, alongside key performance specifications. You can take a look at the screenshots below. 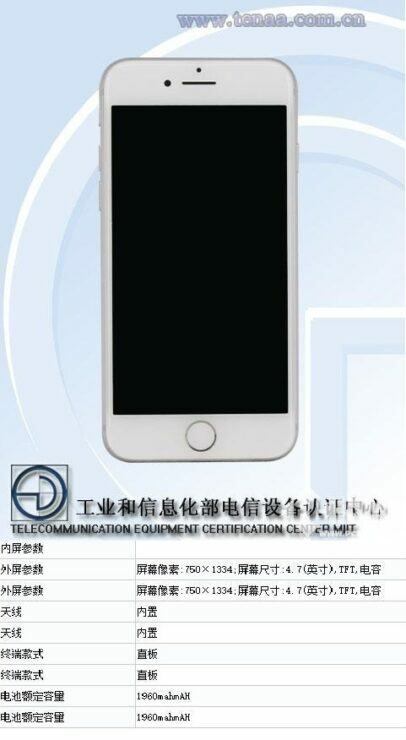 The iPhone 7 is listed with 2GB of RAM and a 1960mAh battery. This increases capacity by 150mAh over its predecessor. The iPhone 7 Plus receives both a battery and a RAM upgrade. The device is listed with 3GB of RAM and a battery of 2900mAh. This also marks an increase of 150mAh and puts the device almost at par with the iPhone 6 Plus. More interesting is the RAM listing for the iPhone 7 Plus. Looks like all those rumors and subsequent benchmark listings were on point. The device is listed with 3GB of RAM. We’re eager to see how this translates in terms of device performance. Apple’s also claiming some good GPU upgrades, which when coupled with iOS 10 should mark the next stage in the iPhone’s performance. If you’ve pre-ordered an iPhone or are looking to order one for yourself, we’re hoping this information is of some help. After all, Apple’s closely knit software and hardware integration will improve as RAM count and processor cores for the iPhone increase. As for concrete conclusions, we can only wait until the iPhone 7 and iPhone 7 Plus become available for testing. Until then, stay tuned and let us know what you think in the comments section below. We’ll keep you updated on the latest in the meantime.